For over 45 yearsOur business has been built on honesty & backed by customer service. 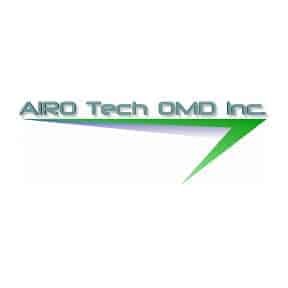 About Mid-Atlantic Door Group, Inc. 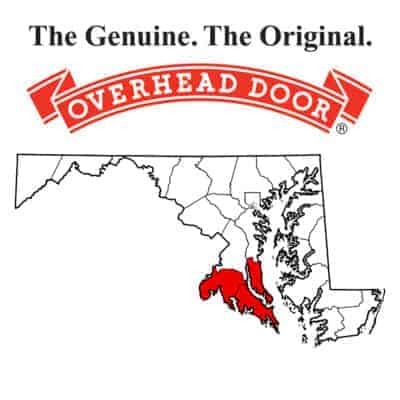 The Mid-Atlantic Door Group, Inc., distributors of Overhead Door Corporation products, was started in 1973 and now consists of seven office and warehouse locations which have been strategically placed to properly service our markets in Maryland, Washington, D.C., Virginia, and Pennsylvania. In addition to being a leading Overhead Door™ Distributor, we continue to provide the area's most trusted garage door repair services. Our 24-hour emergency garage door repair services include garage door opener repairs, broken cable and spring repairs, roller replacements, section replacements, fire door inspections, drop tests, planned maintenance programs, and more! Each of our seven Mid-Atlantic offices have been strategically located to meet your garage door service needs in a timely and cost effective way. Our staff and technicians possess the most up-to-date systems to provide you with all of the details necessary to make the right decision when purchasing garage door products. From timely pricing to having the ability to digitally see our products on your home, we continue to lead the way with trusted solutions and professional sales, installation, and service. Overhead Door™ offers a complete line of residential products, including a wide variety of garage doors, powerful and quiet garage door openers, and convenience focused garage door opener accessories. Find the perfect match for your home. Overhead Door™ offers a complete line of commercial products, including a wide variety of garage doors, electric garage door operators, operator accessories, and loading dock equipment. Find the perfect products for your commercial project. Try our on-line interactive software tool that lets you visualize what your home would look like with a new garage door from Overhead Door™. Give it a try, and transform your home today. We offer the most trusted and reliable garage door repair services in the Mid-Atlantic region. We maintain the largest inventory of commercial and residential garage door repair parts to better serve you, and are always available for 24-hour emergency garage door repairs. For commercial and residential architects, we have gathered our complete resources to simplify your project. Quickly download drawings and specifications to your computer now! 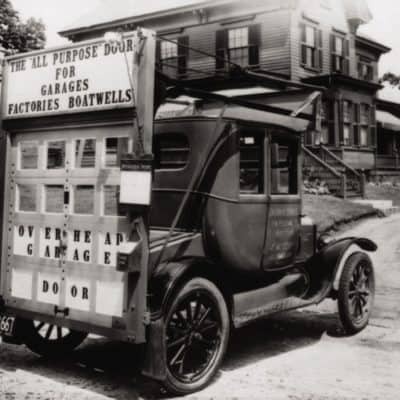 Overhead Door Corporation has provided nearly a century of innovation to the garage door industry, inventing the first upward-acting garage door in 1921, and the first electric garage door opener in 1926. Overhead Door™ founder, C. G. Johnson, invented the first upward-acting garage door. Overhead Door™ Founder, C. G. Johnson, invented the first electric garage door opener. Opens Overhead Door Co. of North Washington. Became an official Overhead Door™ Distributor. 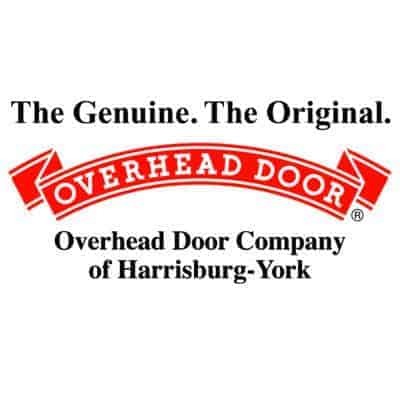 Purchased Overhead Door Co. of Harrisburg-York™. Opened Overhead Door Co. of Central Virginia™. Purchased Overhead Door Co. of Metropolitan Washington, DC™ and changed name to Overhead Door Co. of Washington, DC™. Developed pricing program used by Overhead Door™ Distributors nationwide. 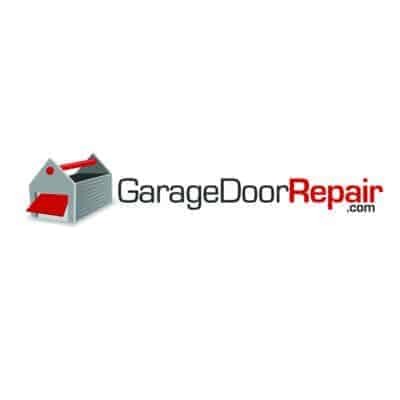 Mid-Atlantic Door Group started GarageDoorRepair.com. Opened Overhead Door Co. of Washington DC™ - Southern Maryland Branch. Opened Overhead Door Co. of Frederick™. When you choose Overhead Door™, you are making a smart investment in your home. You are selecting high quality products, and more importantly, selecting a company that will stand behind them. In fact, according to the latest Cost vs. Value Report by Remodeling Magazine, replacing a basic garage door with an upgraded one returns up to 98%​ on the average original cost – making it the top renovation nationally in the study! Explore residential projects completed by Overhead Door™. See the difference an investment in new Overhead Door™ garage doors and garage door openers can make on your home! Explore commercial projects completed by Overhead Door™. See various options offered by Overhead Door™ for unique commercial openings, including commercial doors and loading dock equipment.